So I just wrapped production as a writer-producer-director on another short film! It’s a 7-page comedy about a guitar lesson gone wrong, called “Jerry & Diane”. I’m really happy with the performances from my actors and excited about how it looks! We had the stupendous and fearless Chris Domig playing Jerry. And the delightful dry and quirky Margaret Rossi Copeland playing Diane. 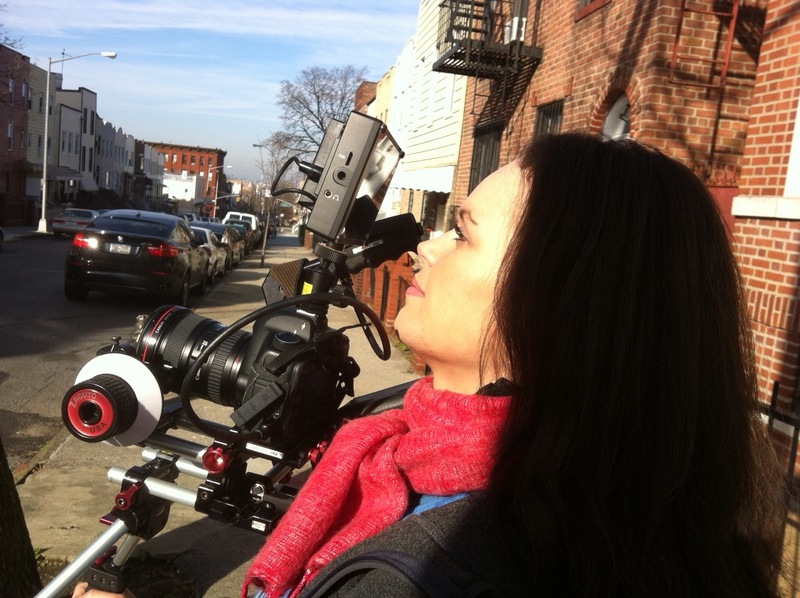 And here’s our lovely DP, Danielle Campbell, who was a wiz with the Canon 5D Mark II. One of the things I enjoyed about this process (other than getting to direct comedy) was that it was a 2-day shoot, with two actors (plus one brief cameo) and a crew of four (including me). We had me, a DP, a grip/AC, and my husband (who is also my co-producer, editor and colourist), who recorded production audio. All of us were experienced professionals who’ve each worn many hats, so the short hand was effective — we worked quickly and communicated well. My actors were marvellous. They dove right into the material and gave me lots of choices and options to cut with. My first short film as a writer-director, called “Sonny“, is still in post-production; but I’m pregnant (due in April 2012! ), and my hubby and I wanted to get another project in before the baby consumes our time. We’re hoping to have both projects out of post and heading to the festival circuit by the time the baby arrives in mid-April. Previous Post Building Sustainability… On Location and In Education! Next Post Write What You Don’t Know!